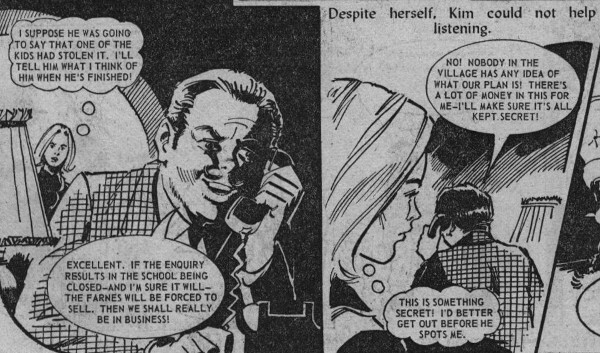 Kim Ashton, a young teacher, worked at Eagle Crag School, a special school for troublesome children. It was run by Mr and Mrs Farne and their daughter, Jean. Mr Besant, a neighbour of the Farnes, was trying to get the school closed down so that he could buy their land cheaply. A public enquiry about the school was to be held, starting with a visit by inspectors from the Education Department.